Integrity is all about being true to what you believe. Our actions should mirror our beliefs and words. Those around us make judgments about our integrity. Yet integrity must start as an internal balancing of our soul with how we live our life. We must find internal integrity before we can display external integrity for others. It seems quite simple, “just be” yourself. Yet, turning inward, discovering who we are, and falling in love with ourselves is often quite difficult. I recently did a writing exercise intended to narrow in on what my passions are. I wrote answers to a series of 27 questions and refined them over a period of a week. Several of the questions focused on identifying my core values. I looked at patterns in my life, things I enjoy, and what sort of ideas drive my life decisions. As you can tell by my blog, I identified simplicity, exploration, and integrity as my core values. Ironically enough, I felt I didn’t have integrity because I wasn’t being true to who I am. Integrity has been a primary theme during parts of my life so I felt like I had to select it as one of my core values. At the same time I struggled with it because I wondered how I would blog about integrity. I came from simple beginnings, but have allowed life to become cluttered with both physical and emotional things. I hadn’t been striving for simplicity. I love to learn new things about myself, others, and the world around me. Yet until recently, I hadn’t been doing much in the way of internal or external exploration. As a result, I felt as though my integrity to myself had faltered. Are you being true to what you believe? Do you even know what you believe? Use the following ten questions to focus on what means the most to you. Take your time. Write and refine your answers over days if need be. What do people like the most about you? What causes do you feel the most passionate about? What is the quickest way for someone to upset you? Do you regret any of the life changes you have made? What events in your life have caused you to change course? Who do you admire more than anyone else? Why do you admire them? How do you want people to remember you after you have passed away? If you could spend every day doing only what you enjoy, what would that be? What issue in your community, state, country, or in the world would you most like to see solved? Once you have answered the above, one or more core values may have already come to you. If you need help with a list of core values, try this list. It is one of the most extensive lists of core values that I have found. General advice from self improvement leaders is that we should select between three to five core values. If we have too many core values then the principles that guide our lives become too diluted and more difficult to practice. In a way, they individually end up having less meaning. However, if we have only a few guiding principles it is easier to focus on them and make a difference. Identify your core values and be true to yourself. 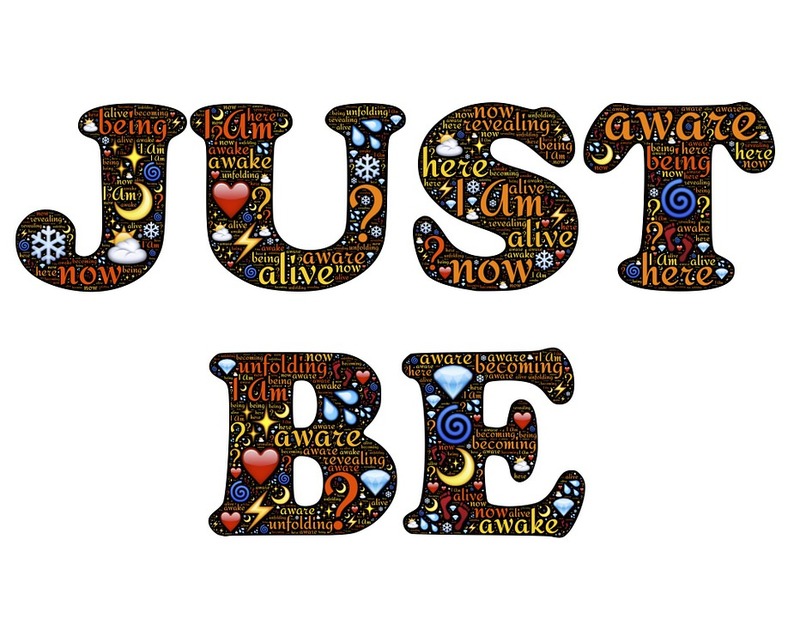 “Just be” you. In what ways are you true to yourself? In what ways do you struggle to be true to yourself? Leave a comment below. Join in the discussion. Share with friends. “Free Image on Pixabay – Just Be, Being, I Am, Existence.” Pixabay. Accessed February 25, 2017. https://pixabay.com/en/just-be-being-i-am-existence-597091/. “Integrity Quotes – BrainyQuote.” BrainyQuote. Accessed February 25, 2017. https://www.brainyquote.com/quotes/keywords/integrity.html.